This is a great option if you are going out of town on a business trip, vacation or if your dog is spending a full day of daycare at Bark Bark Club. Tell us which behaviors you would like your dog to work on and our trainer will tailor the 30 minute specifically for your dog. 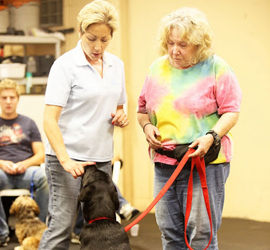 You will receive a detailed written report on your dog’s training session upon pick-up. To reserve a training session, please call or email Kim. Classes fill quickly, register today to reserve your spot! Our puppy program provides a safe, enjoyable learning environment that will help set the foundation for a wonderful life ahead for you and your new puppy. The training program consists of socialization, problem solving and prevention, crate/house training, manners and introduction to training such as, name recognition, sit, come, and walking on leash. Throughout this 4-week course, we will teach you how to overcome all the common puppyhood challenges and get you off to the right start of learning and growing together! 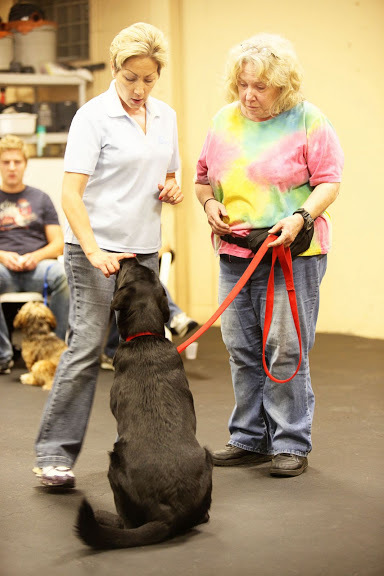 Class will focus on basic obedience, problem solving, breed tendencies and good manners. You will learn how to incorporate basic manners into your dog's day-to-day lifestyle. Learn the proper use of voice commands and hand signals. How to use timing, motivation and consistency to strengthen the bond between you and your dog. In intermediate class, we will polish all the basics, with emphasis on loose leash walking, polite greetings, and stays. We’ll work to sharpen your use of voice commands, hand signals, timing and consistency. Intermediate obedience class is for dogs that have already completed the basic obedience training course or upon trainer approval. Rally-O (also know as Rally Obedience) emphasizes fun and excitement for the dog/handler team while providing an interactive approach to obedience. Rally is about the most fun you can have doing obedience exercises with your dog! In Rally, the team follows a course of signs, which specify the exercise to be performed at each station. 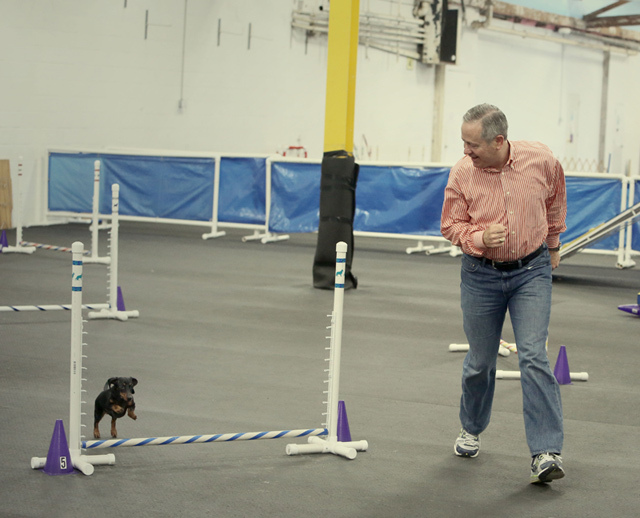 The dog and handler move continuously through the course at a "brisk" but natural pace. 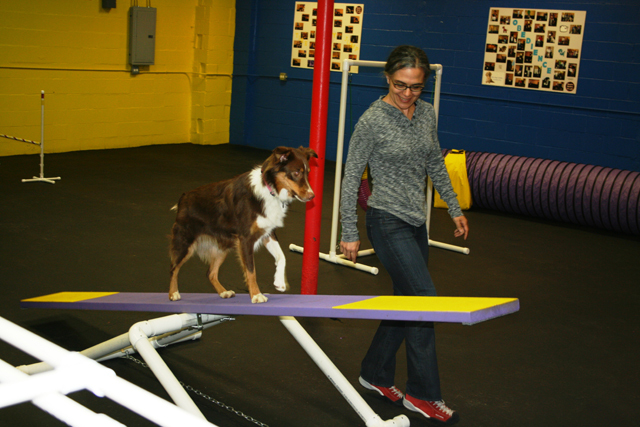 The exercises involved in the course will help build your skills as a handler and increase your dog's range of behaviors. *Before beginning rally classes, dog must be at least 6 months old and has completed a basic obedience class or equivalent with instructors approval. This 4-week class is for those dogs who have already attended a basic obedience class and for those wanting to obtain their AKC CGC title. Class will review all exercises that are included in the test: Sit, down, stay, recalls, sitting politely for petting, grooming, examination by another person and a 3-minute separation from the owner. Testing is included on the last day of the training session. 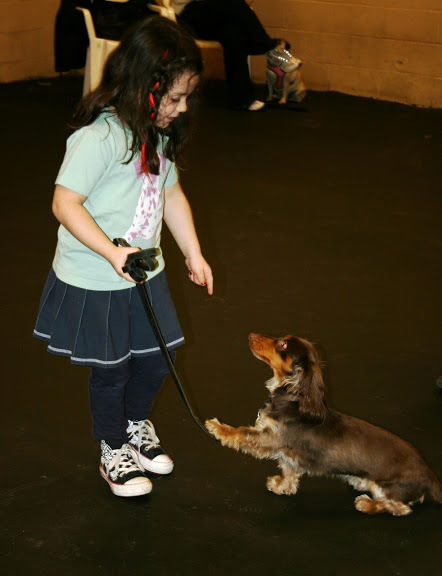 More information on the program can be found on the AKC website- www.akc.org . 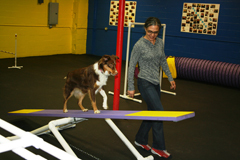 *Before beginning agility classes, it is recommended that your dog has some basic obedience skills. Your dog needs to know how to sit, stay and should have a reasonable recall. When your dog pulls ahead, she isn't engaged with you. In fact, you're probably the last thing on her mind as she plows through the neighborhood to get ... well, she's not really sure where she's going but she'll get there! When you stop your dog from pulling you are not only preventing that raspy wheeze she gets after ten minutes of choking herself, but you are also putting her in a better state of mind that will make both her walk and her relationship with you much more enriching. Plus your sore arm will thank you for it. Come learn the basic's of loose leash walking! 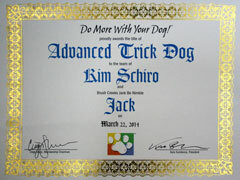 Trick class is for dogs of all ages and is all about cutting loose and having fun with your dog! Teaching dog tricks is one of the joys of having a canine companion in your life. 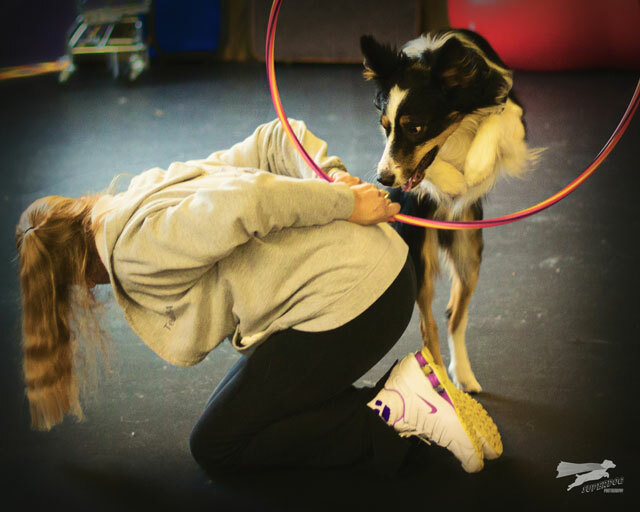 Training trick behaviors is an excellent way to diminish both mental and physical energy, strengthen the bond between you and your dog, build confidence, or just make you and others smile! Sit, spin, roll over, leg weaves, peek-a-boo, and jump over a bar are just a few of the tricks we will be learning. 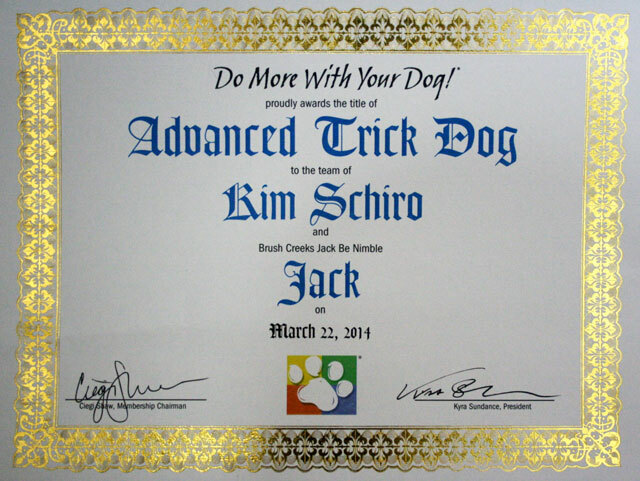 Upon completion of your class and display of tricks learned, we will help you submit your Novice trick dog title form to the Do More With Your Dog organization. Do More With Your Dog is the only official sanctioning and organizing body for the sport of Dog Tricks. Have a dog that becomes excited and nervous at the sight of other dogs on leash? Reactive dogs may lunge, bark, whine, growl, snap, or display other frustrating behaviors for owners while on leash towards other dogs. This can also be towards strange people. Reactivity is caused by many factors including lack of socialization, the dog's temperament, and lack of training. The goal of this 2 week class is to develop the tools to walk your dog on leash without his barking or lunging at other dogs. You will learn the skills needed to help your dog’s comfort level around other dogs and to reduce your own anxiety when out on walks. At the same time, your dog will learn to focus less on other dogs, and more on you. This class is not for dogs who have snapped at or bitten a human or for dogs with a history of causing serious injury to other dogs. Please email Kim to book a private lesson at kimschiro@sbclobal.net. This is a drop in class, which means you do not have to go to a series of classes, but come as you can and work on specific topic. The skills we will be learning and practicing vary from week to week depending on topic. Please see our online course schedule for details. Class fees are non-refundable and paid in full at the time of registration. Due to small class size, we cannot reserve space without payment. No refunds will be given after the first night of class attendance or if canceled within seven days of the class start date. Private lessons must be canceled at least 24 hour in advance or you will be charged the full cost of the lesson.